This is a guest post by Elena Erin. Elena is a professional blog writer, and loves to share his ideas related to leadership, management, and employees. She is currently associated with Essay Yard. His write-ups intend to facilitate people with a deep insight regarding massive resources and concepts available to make good leadership styles. A good and effective leader must always decode its entire internal and external environment. It gives each team member the opportunity to share. It addresses the individual needs of each team member and the needs of the team as a whole. The leader considers the resources and energy available. It also assists his team to set and attain common goals. They must also understand that each person has different motivations in different situations. A leader promotes the possible participation and lets everybody to flourish and benefit from teamwork. One of the main activities of the leader is to promote interactive and meaningful participation often through teamwork. The leader looks at the future easily and transmits its vision to accomplish goals. He knows how to motivate; guide and support his team members through effective strategies, although difficulties or obstacles arise. 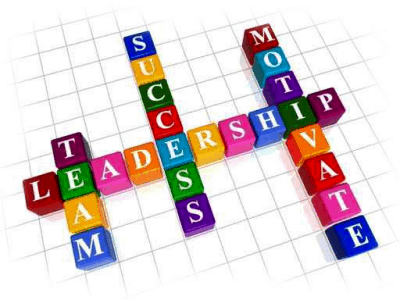 Leadership Skills – How Millennials Can Become The Next BIG FISH! This is a guest post by Stewart Agron. As a respected employee of Dissertation Arena and an aspiring freelance writer, Stewart Agron loves to indulge in ed-tech topics and share her insights with her precious readers. When not at her desk, she spends her time reading and admiring the works of famous fiction writers. It is perhaps better to become a leader instead of a follower (member) because when you are a leader, you get to run things the way you want. Everyone in this world is born with some leadership skills. The only way you can flourish those skills when you seek them within. If you are a follower now, it is not necessary that you will remain a follower forever. Definitely, you can be a leader someday if you just believe in yourself and polish your leadership skills. The current digital age is the era of entrepreneurship. In this era, the “generation y” prefers to set up their own business and run the game using their own innovative ideas instead of working as an employee for someone else. No doubt that one must possess innovative mind to set up a profitable business, yet it’s not possible without having good leadership skills. [Read more…] about Leadership Skills – How Millennials Can Become The Next BIG FISH! Change is happening at a faster pace now than it ever has in the past. There are new technological advances everyday. There are also new studies everyday that teach us how to be more productive and do things more effectively. 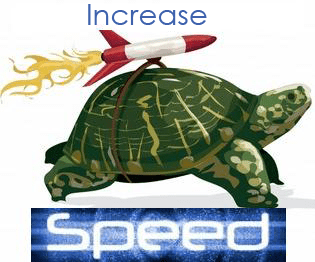 With all the advances, people have the choice to either slow down and lose or speed up and win. Why do people slow down? With the ever-increasing pace of change, some people fail to keep up. So what do they do? They just slow down. They decide that since they can’t keep up, they might as well slow down. Does this approach make sense? This is a guest post by Paul Smith. Paul Smith is an experienced writer. He is a versatile person who is keen on writing on topics of business, social media, personal development etc. Know your leadership style and keep to it. A leader who doesn’t know himself and the work methods needed at a particular time, will unlikely be able to build a strong team. 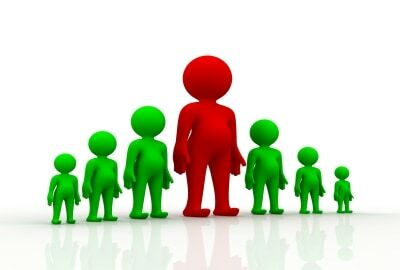 Pick the leadership style according to the field of your business and your temperament. Communicate. When you’re a boss, it’s not the cause for getting isolated from the people who work with you. Just the opposite – communicate even more to know their passions, strengths and weaknesses. When you know the strengths and preferences of each team member, you can give them the tasks they will perform best. And, in this case, in addition to developing their talents, you’ll get a bigger revenue. Clarify the goals. Don’t just delegate tasks – set the goals so each employee will be oriented on the concrete result. The company’s goal should be understandable and inspiring for the people. Distribute and interconnect the responsibilities. Working in a team means giving support and be depending on each other’s performance. That’s why if the team is well structured and motivated, the higher work quality of one employee improves the performance of the others. Motivate people and acknowledge their high results. Everyone wants to be appraised for a good performance, and if one doesn’t get it, it leads to a hidden dissatisfaction. Yes, it’s very simple, but anyway, compliment your workers for a well-done job. Control and direct your people. Even if you picked the best professionals, it doesn’t mean that they automatically make a good team. At the beginning it’s your task to give them different kinds of job to test them and redistribute the responsibilities if necessary. But don’t just fire those who are not very good at this particular position. Look closely at them, maybe, they will be brilliant at something other? Support the team spirit by regular meetings and celebrating good results. But don’t let these actions be too formal. Let them be another chance to get to know people better and find the ways for achieving big goals. Dennis Phoenix is a human resource specialist and writer. He writes on topics including business relationships, productivity, employee satisfaction, and corporate awards. He spends his weekends mountain biking and photographing nature. His twitter handle is @DennisPhoenix1. Managers are always on the lookout for new and creative ways to meet the objectives of their business. However, when it comes to rewarding employees for a job well done, they often opt for the default choice, increased compensation. While there is nothing wrong with this since we all need money to survive, creative leaders should look for other avenues to keep their employees engaged in the workplace. How Do Leaders Motivate Employees? Why Can’t You Motivate Employees? One of the biggest leadership challenges is learning how to motivate employees. Motivated employees generally work harder with greater resolve to do a good job. Some employees always seem to be motivated while always lack motivation. They lack desire to do anything more than the bare minimum for one reason or another. All their reasons, however, are just excuses because they lack motivation. In the leadership world, there are many theories about motivation. There is also constant discussion about what it takes to motivate employees and why you can or can’t motivate employees. So what exactly is motivation? Motivation is the process of arousing and sustaining goal-directed behavior. 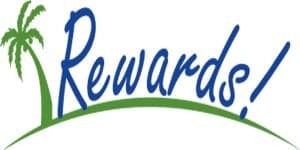 As a leader, it is sometimes possible to motivate employees through creating incentives for good work because some people are motivated by outside sources. There are, however, others that are motivated from within. [Read more…] about How Do Leaders Motivate Employees?